Yuval Steinitz acknowledges Iranians have respected deal during first year, but says it is too early to call it a success. Israel's Energy Minister on Sunday criticized a landmark nuclear accord between the Jewish state's arch-foe Iran and world powers but said Tehran had so far respected the deal. The agreement, which was signed in July 2015 and came into force in January, saw Tehran accept curbs to its nuclear program in exchange for a lifting of economic sanctions by world powers. "It's a bad deal but it's an accomplished fact and during the first year we spotted no significant breach from the Iranians," said Yuval Steinitz, who is close to Prime Minister Binyamin Netanyahu. "But it's still too early to conclude that this 12-year deal is a success," he told public radio. 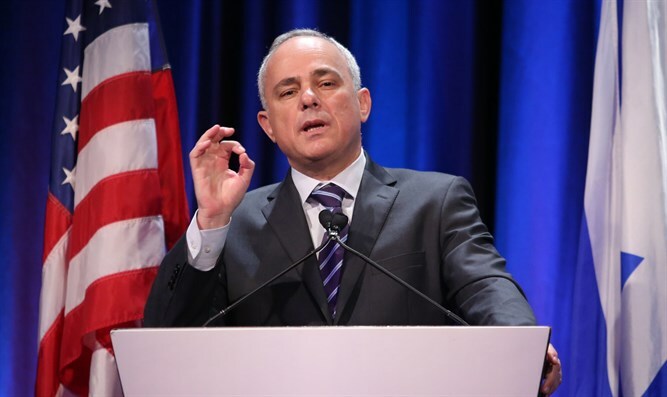 Steinitz's comments came after US President Barack Obama on Thursday defended the accord. Israel's Defense Ministry, led by Avigdor Liberman, on Friday compared the deal with Iran to the 1938 Munich Agreement, which allowed Nazi Germany to annex parts of then Czechoslovakia. Netanyahu the same day repeated his country's rejection of the Iran deal but stressed that Israel and the United States remained great allies. For several months the US and Israeli governments have been negotiating the terms of a new 10-year defense aid pact to replace the current one, which expires in 2018 and is worth more than $3 billion per year. amount of military assistance it provides.